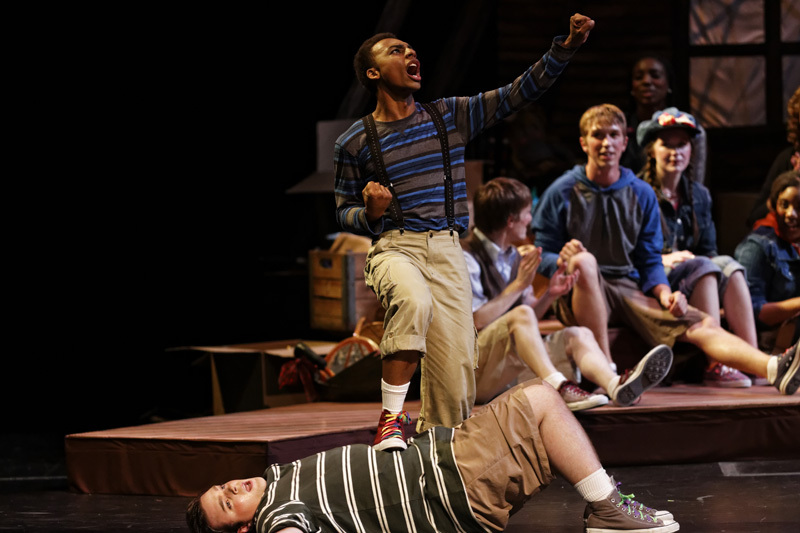 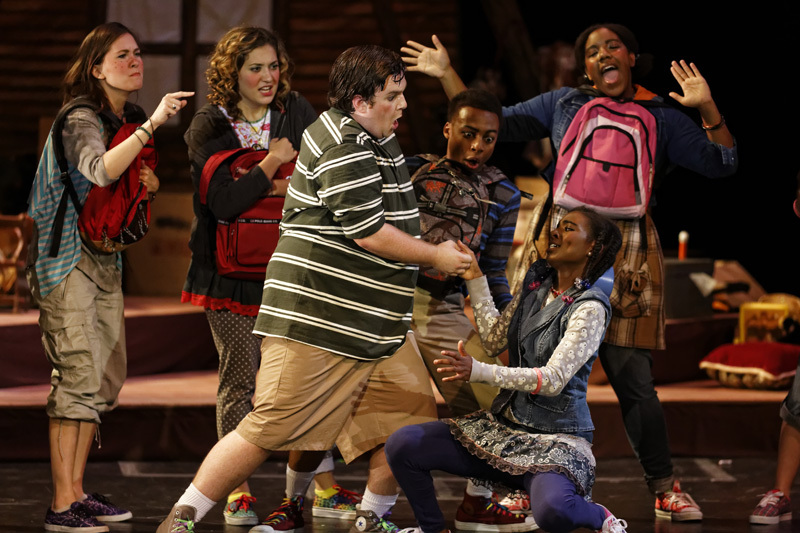 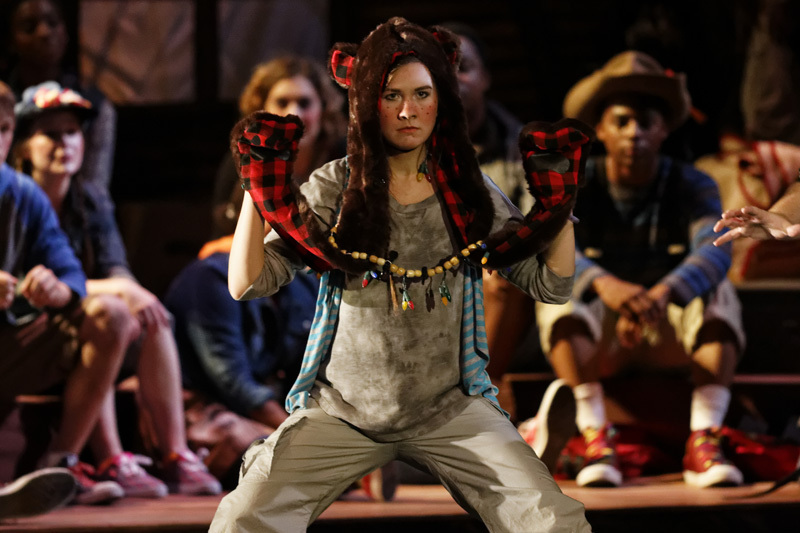 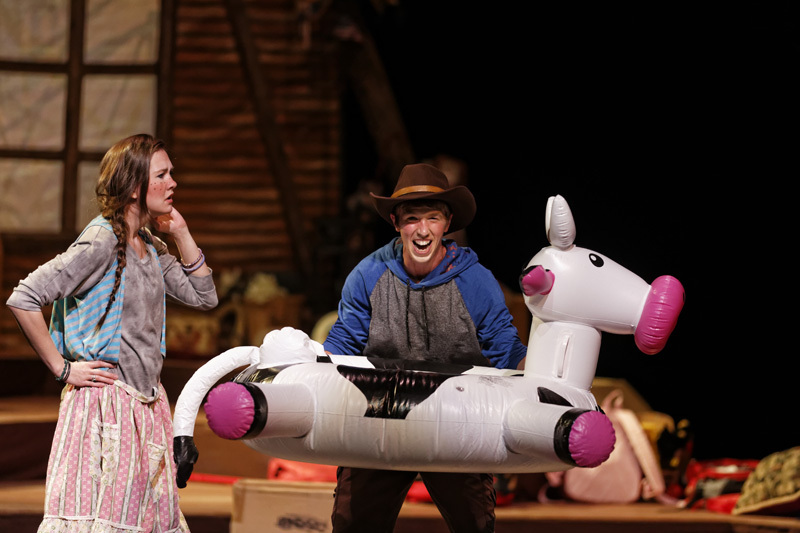 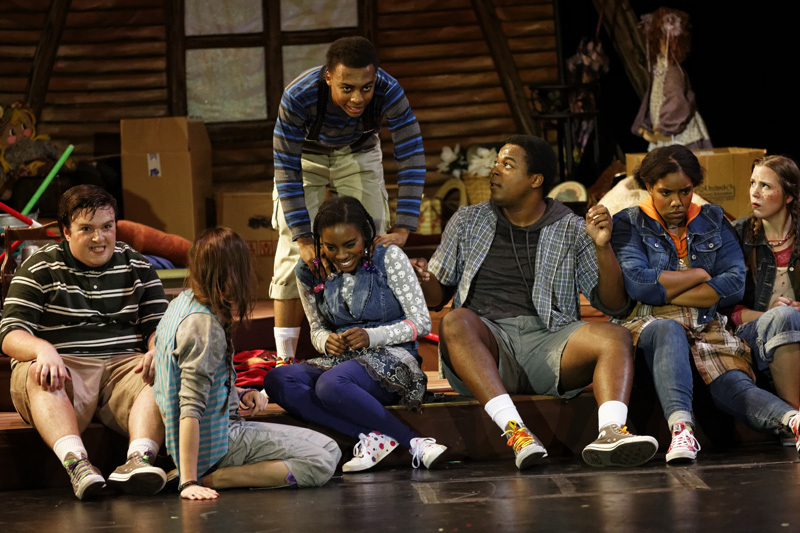 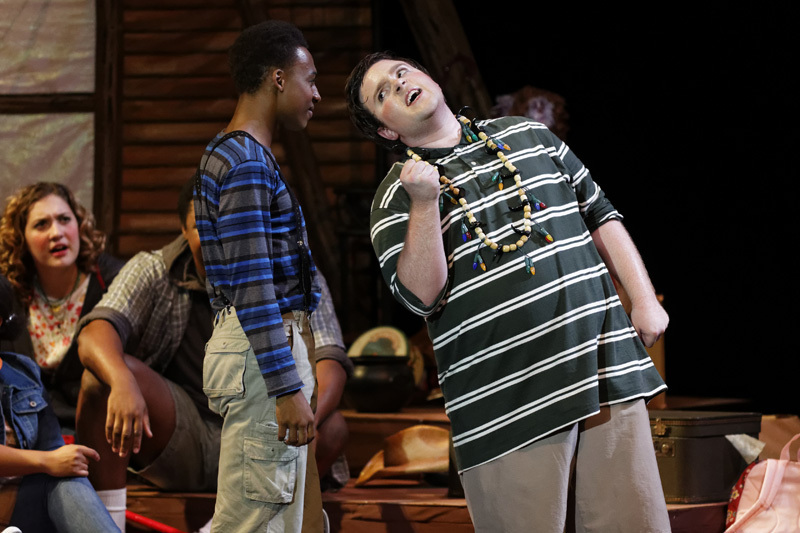 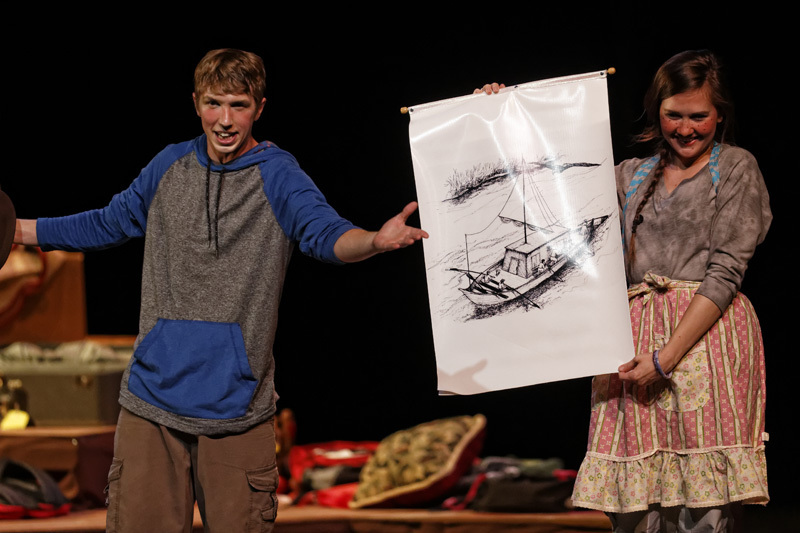 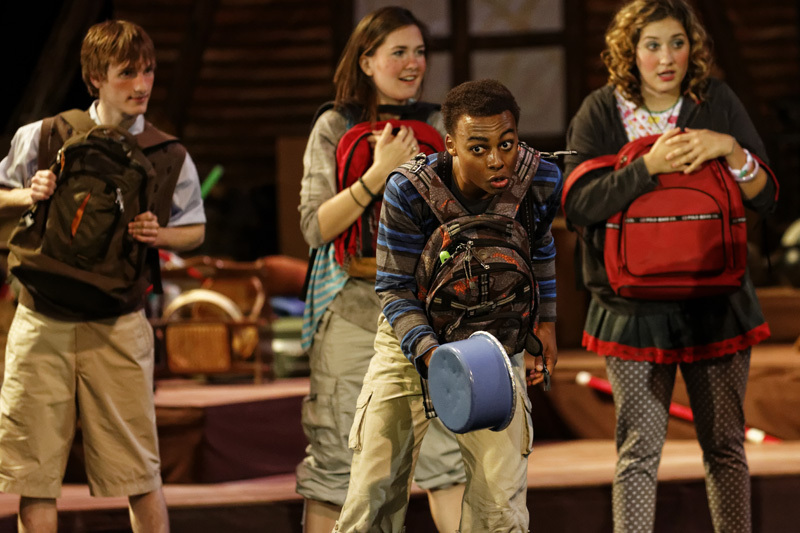 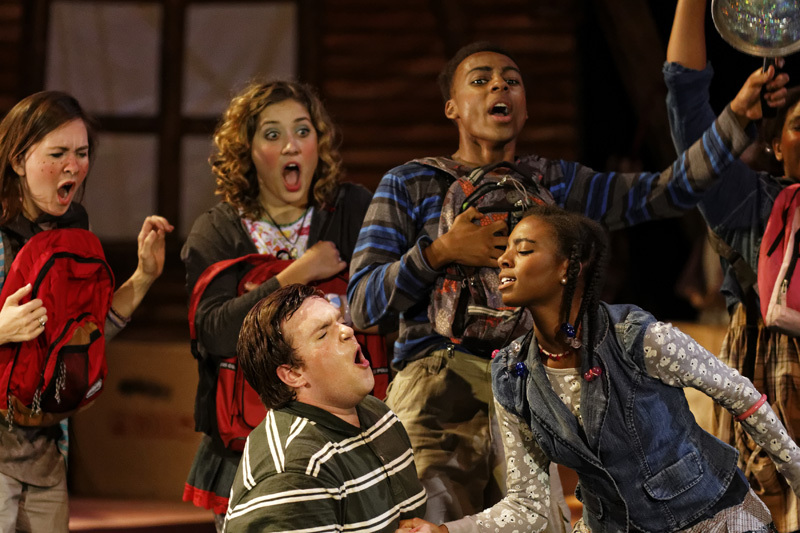 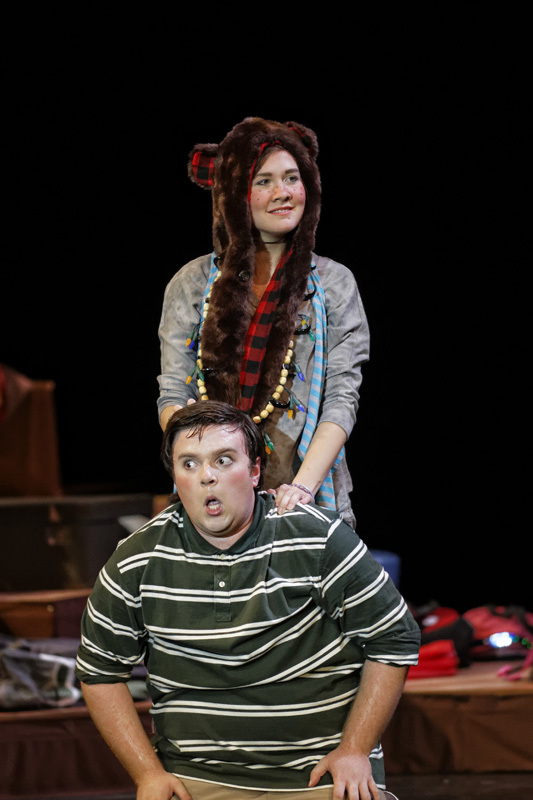 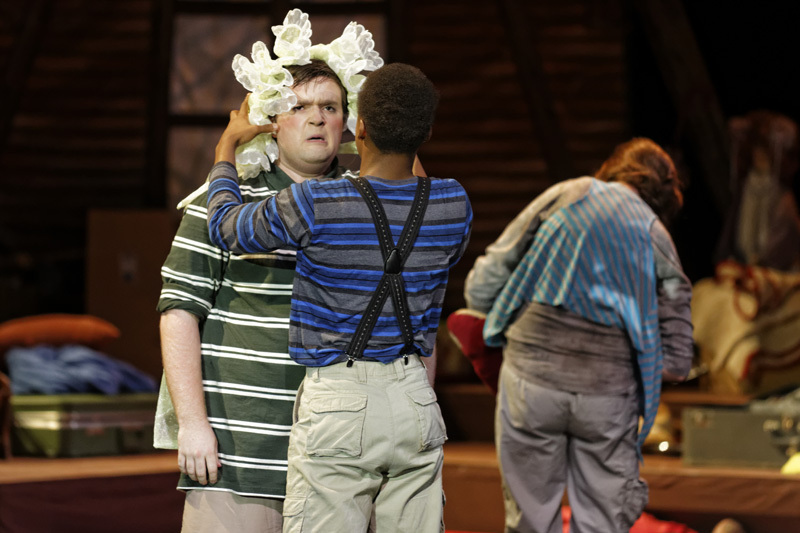 American Tall Tales started its weekend run in Tucker Theatre on Wednesday night. 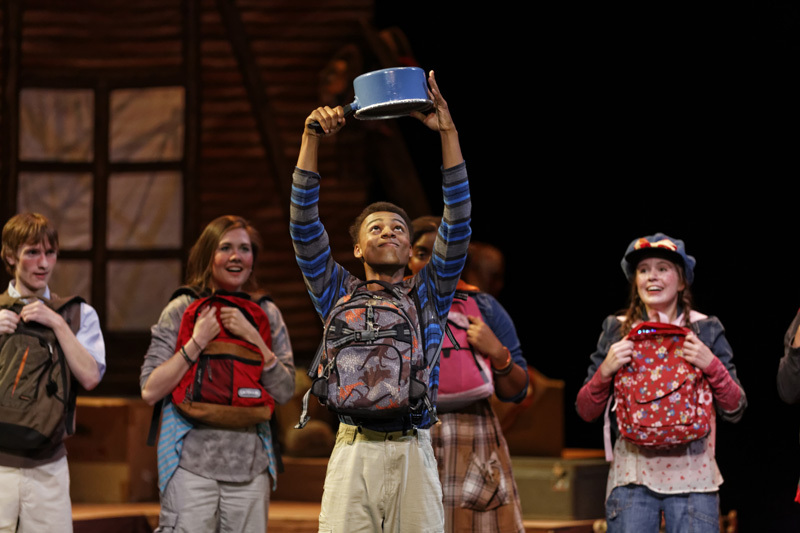 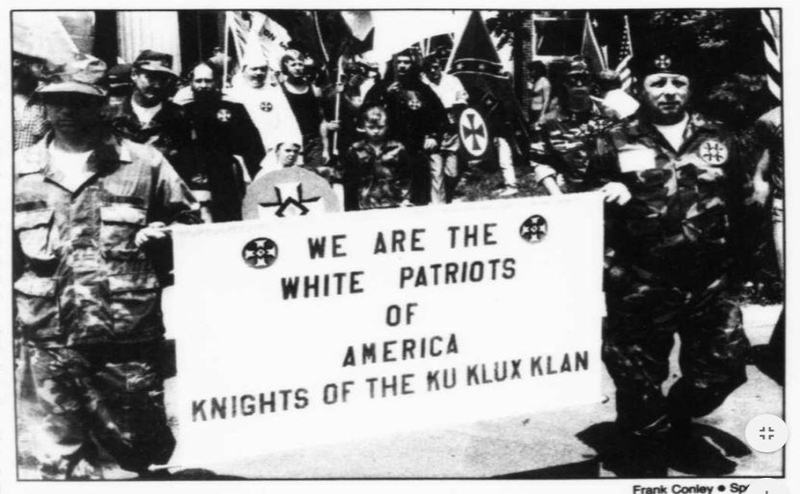 The play was written in 2003 by MTSU faculty and students for the purpose of introducing American folklore to audiences around the world. 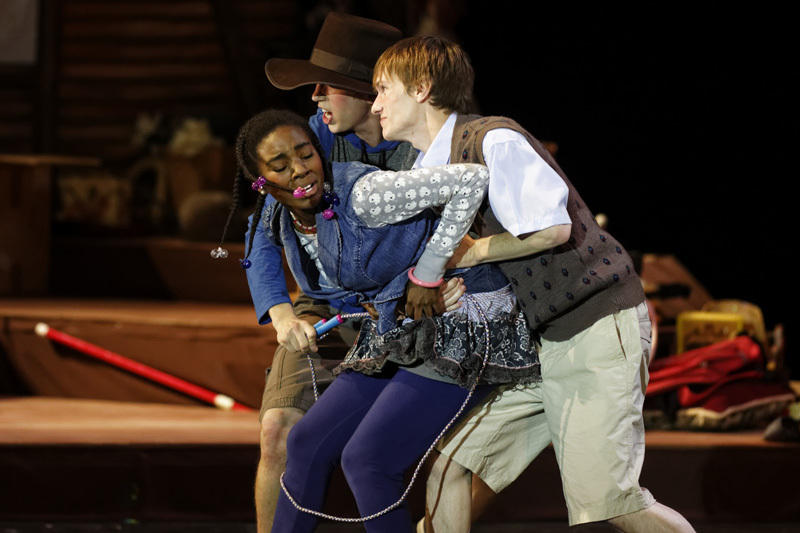 In the spring of 2004 , the performance was taken to Finland, Russia and Latvia, where the show received two awards at the 2004 Baltic Theatre Festival. 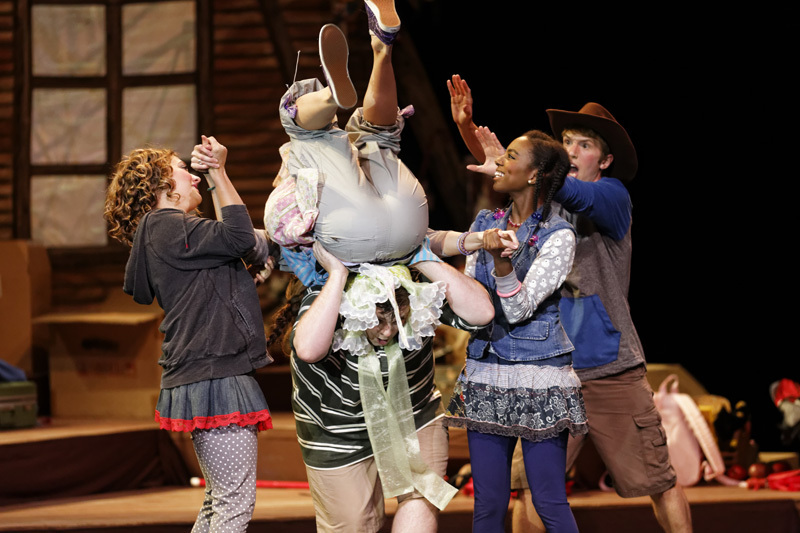 After several recent performances in Honduras and Guatemala, MTSU Arts decided it was time for the play to return to campus. 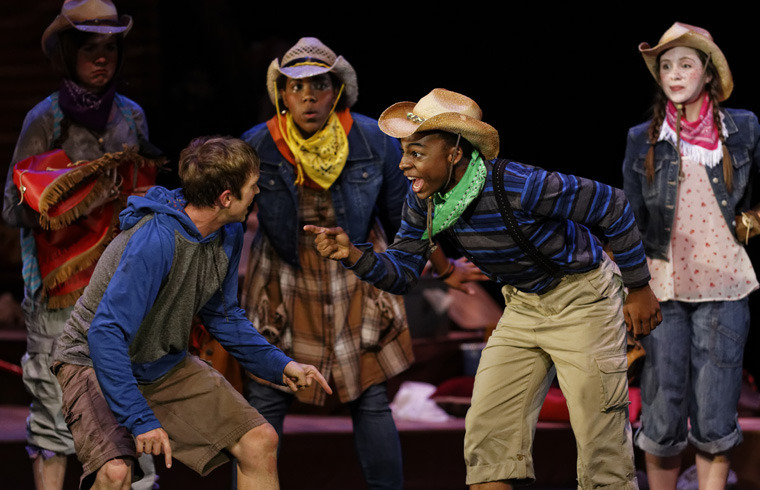 Tall Tales tells the story of young kids acting out lesser-known American legends together in an attic, with Johnny Appleseed (sophomore Joshua Jackson) taking lead of the group in song, story and manner. 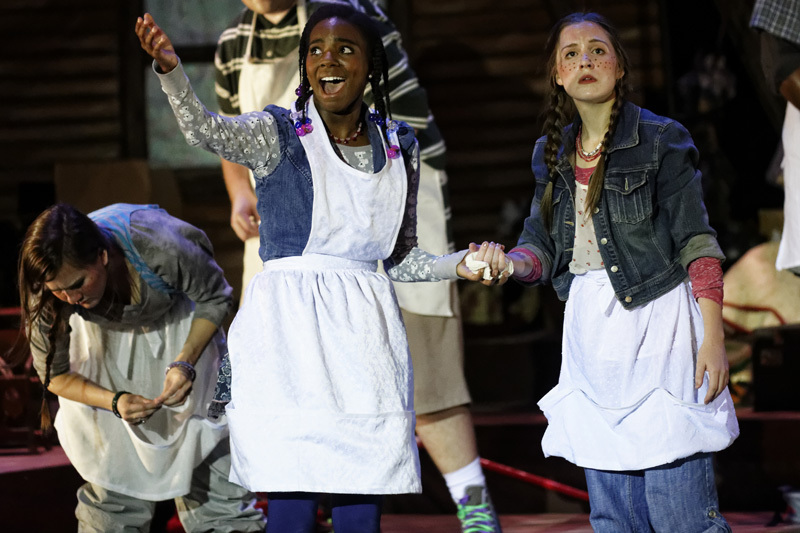 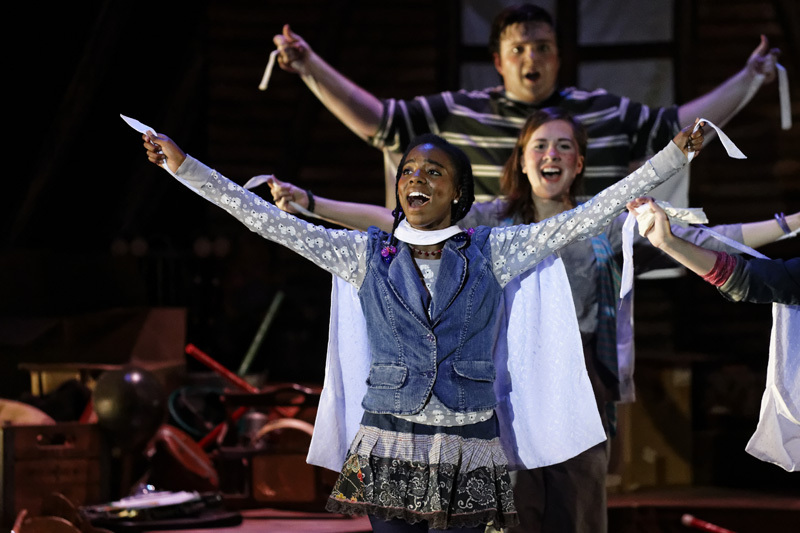 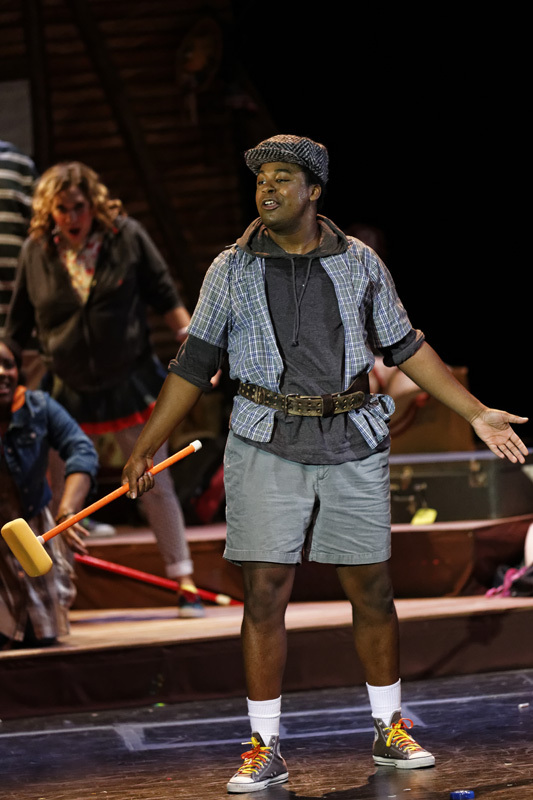 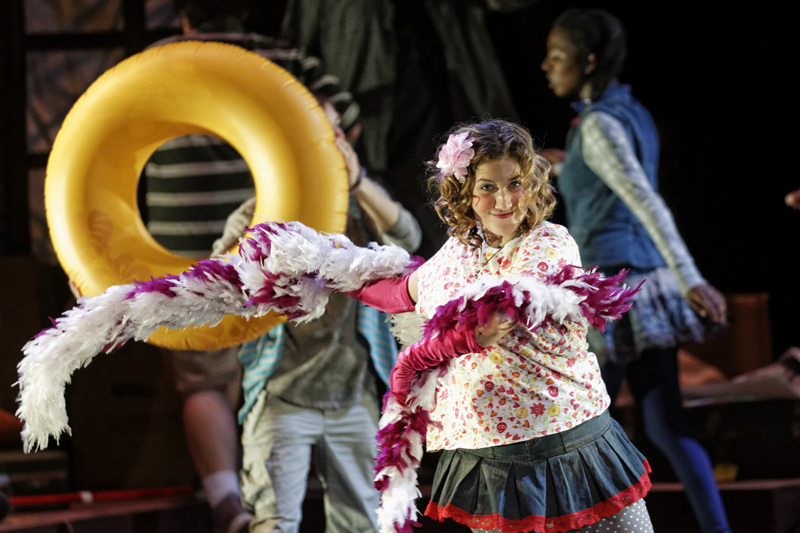 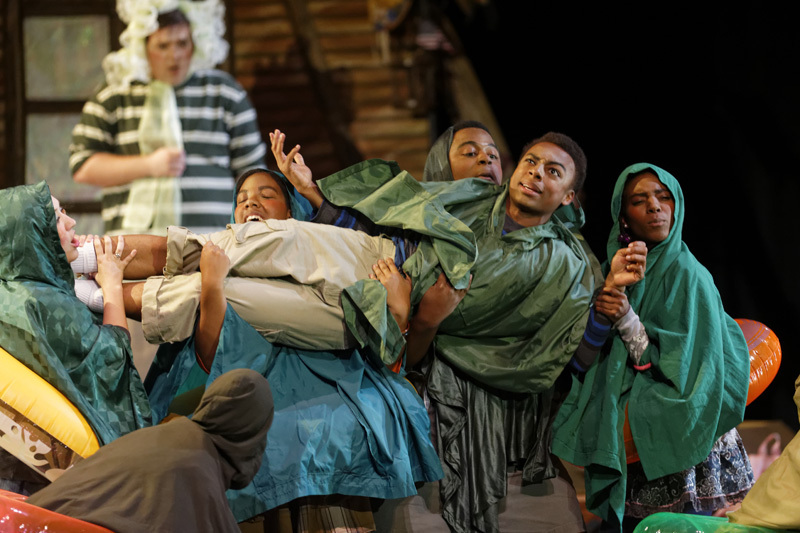 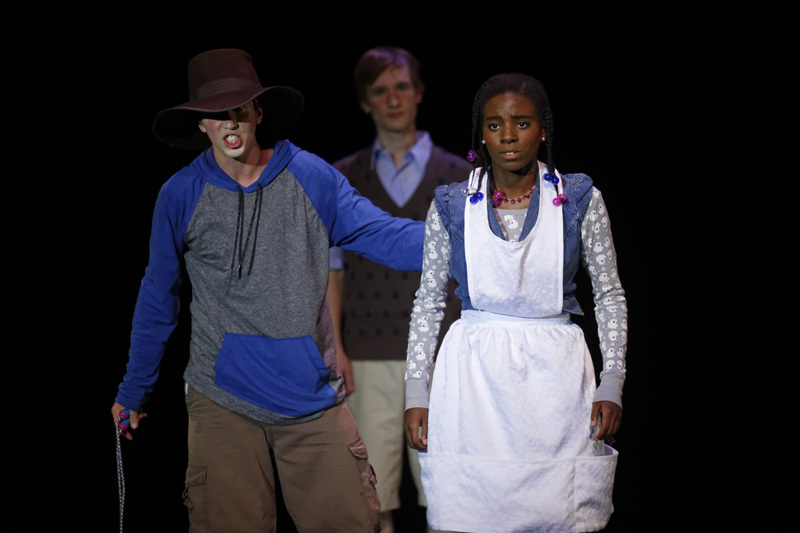 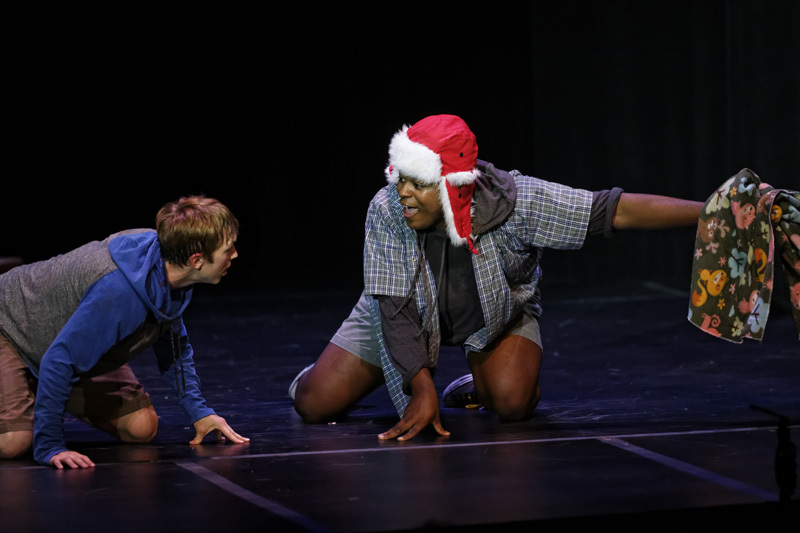 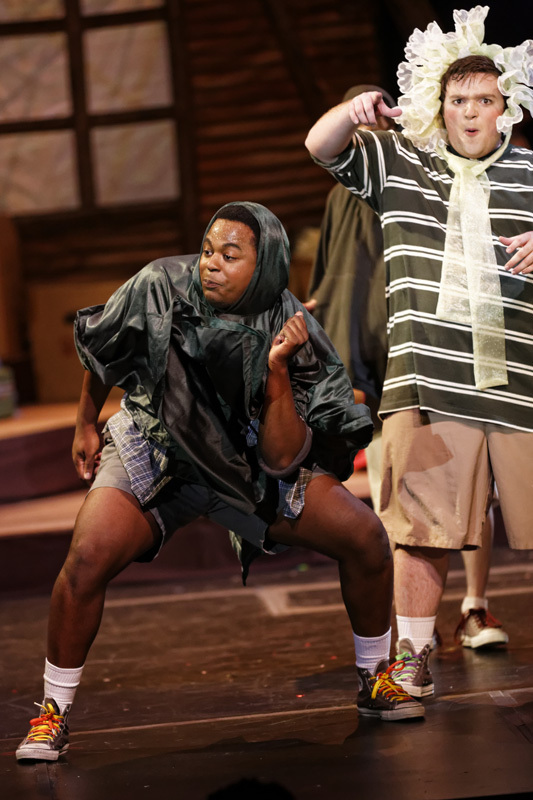 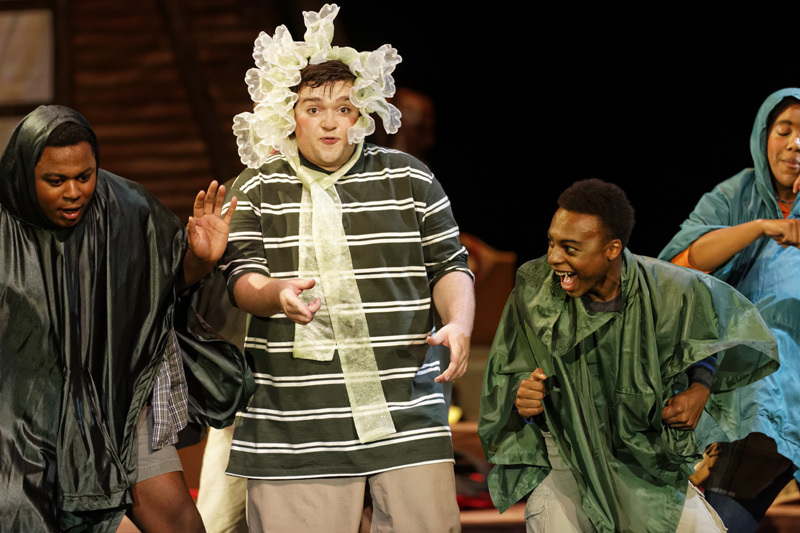 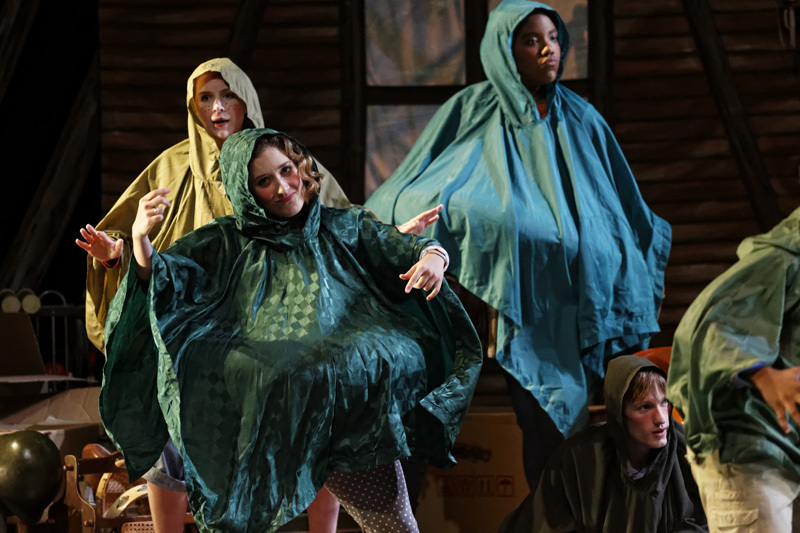 The different tones portrayed in the production range from the light-hearted scenes of Mike Fink (sophomore Paul Gary) and the Acrobatic Frogs to the somber moments featuring Annie Christmas, played by senior Chelsea Bell, which was set during the slave-era. 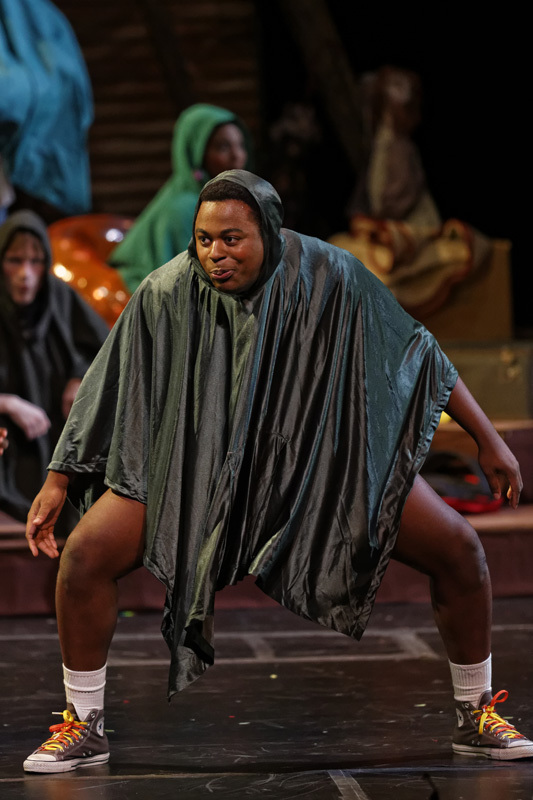 Despite using merely one backdrop for the full performance and utilizing minimal wardrobe changes, everything from the costumes to the lighting were simply ingenious. 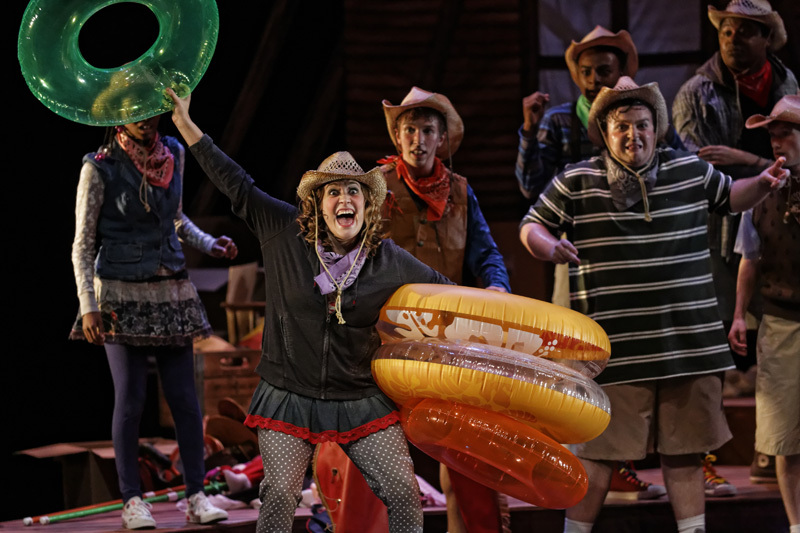 From humorous play tricks to passionate interactions with historical context, American Tall Tales transitioned smoothly from one scene to the next, leaving the audience feeling comfortable to follow along for the entire journey. 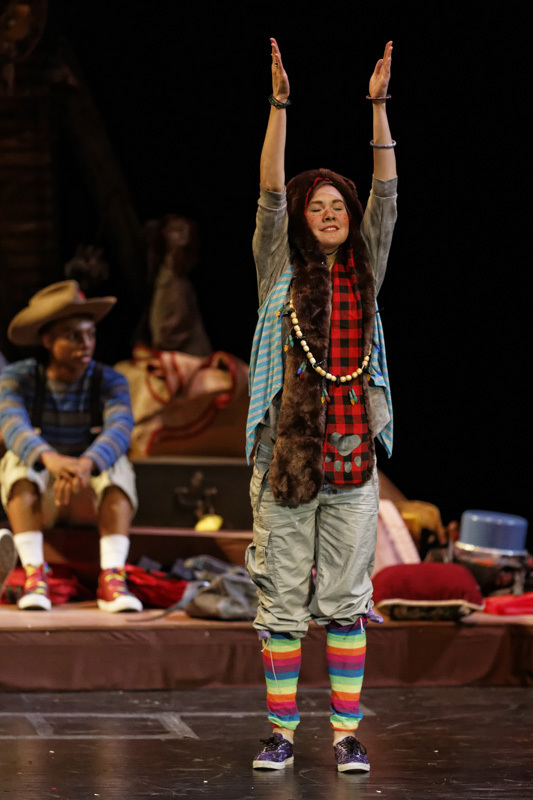 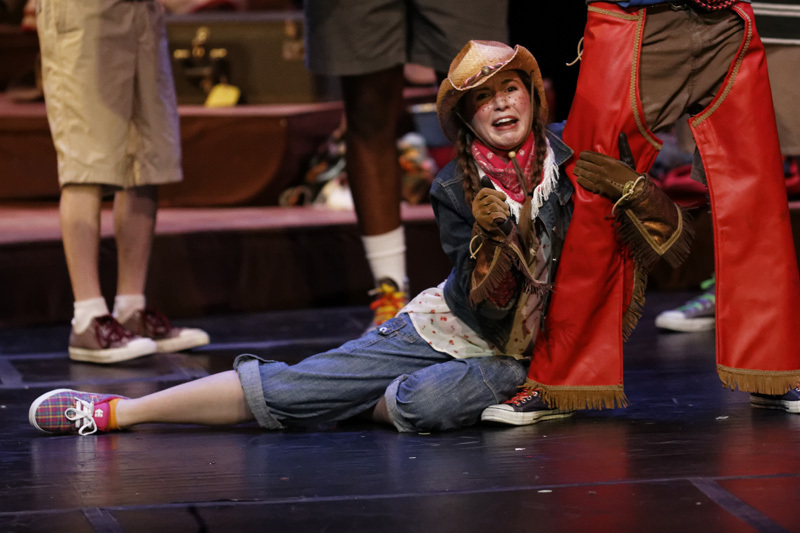 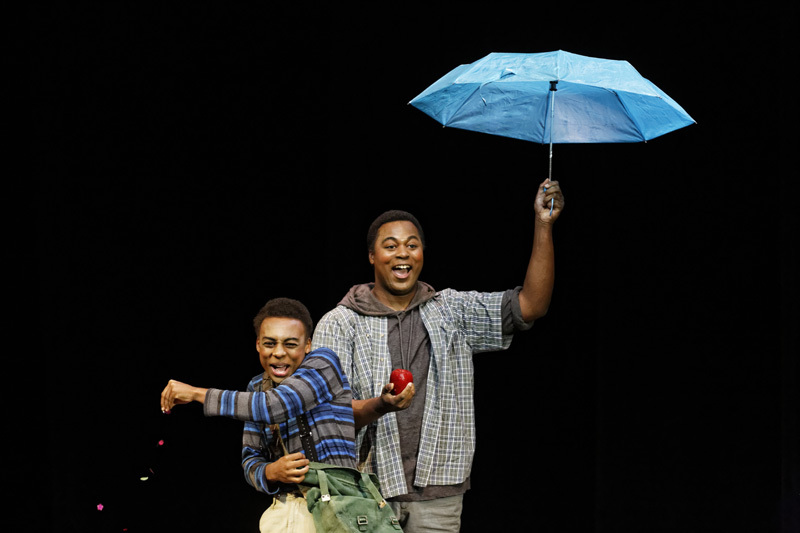 Additional showings of American Tall Tales will be held Sept. 26 and 27 at 7:30 p.m. and Sept. 28 at 2 p.m.